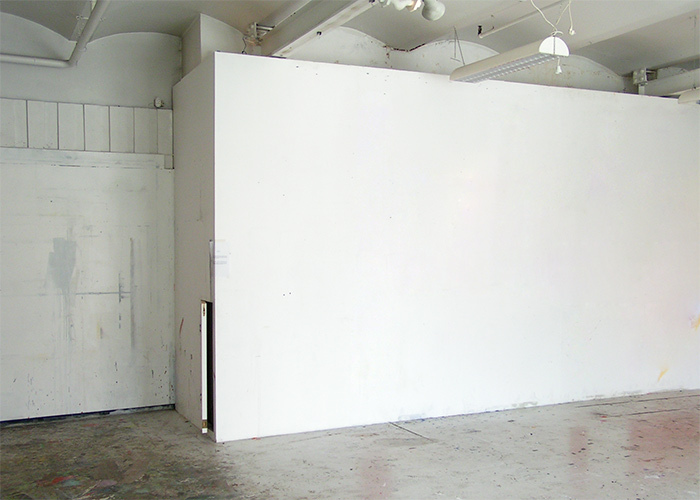 The work Utveksling-Studenter (»The Exchange Student«) was developed for an exhibition in a studio building belonging to the Statens Kunstakademi Oslo, a former factory dating from the 19th century. 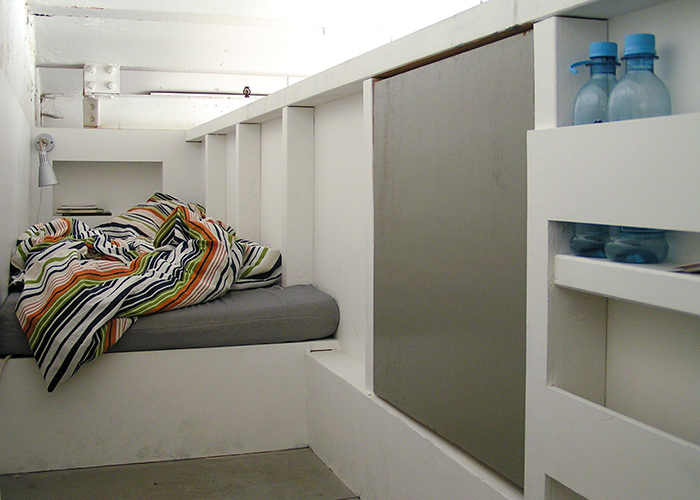 The building was equipped with a kitchen, showers, and washing machines, but the students weren't officially allowed to live there as yet. 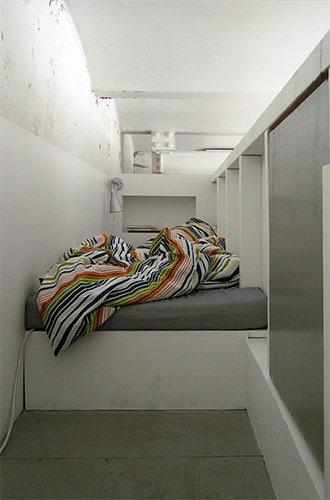 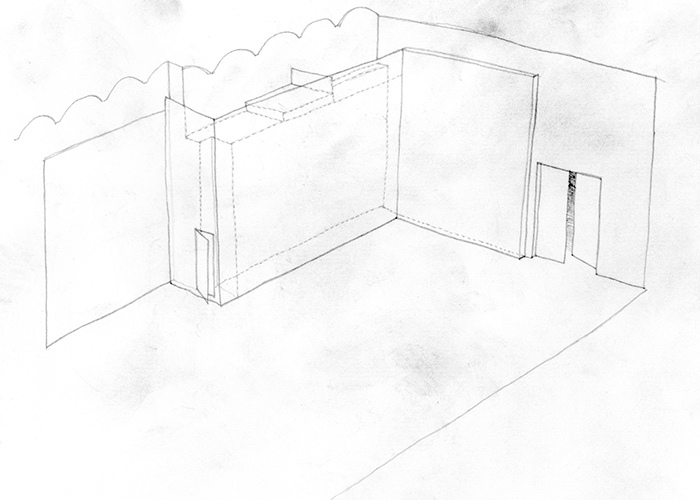 Stefan Eichhorn made use of a redundant room behind a wooden wall for his installation. 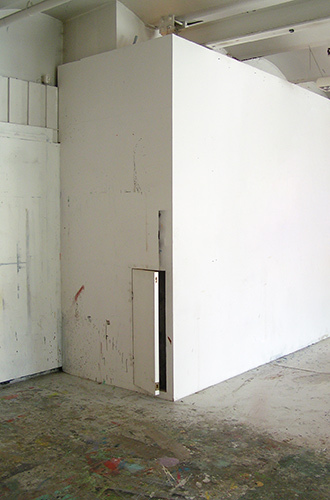 The wooden wall had itself been installed in one of the studios about 80 cm from the building's main wall. 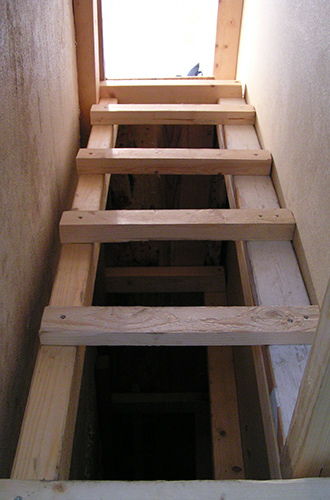 Stefan Eichhorn inserted a floor between the wooden wall and the main wall, around 5 m above the ground. 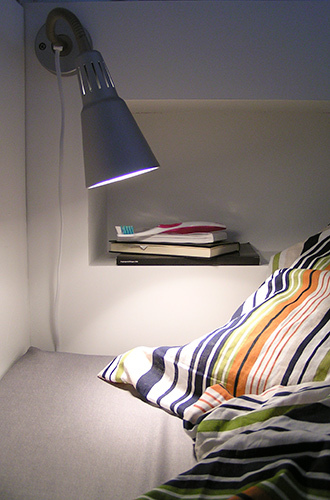 In this minute, concealed cot, resembling the interior of a trailer in its cramped utility, there was a bed, a number of shelves and surfaces, electric sockets, and lamps, as well as a folding table.